Enjoy Alamosa, Colorado, heart of the San Luis Valley. An average of 300 sunny days per year makes our Alamosa, CO hotel a top choice for vacationers. 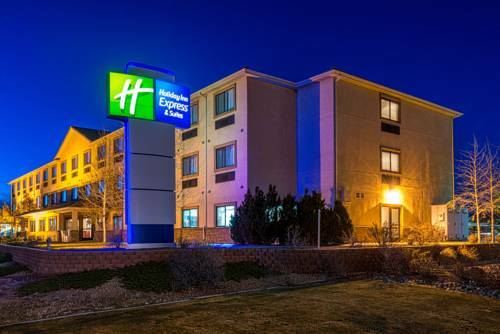 Located on Highway 160, our Holiday Inn Express and Suites hotel provides a central location to a number of attractions in the San Luis Valley. Hotel guests on vacation enjoy our location as the gateway to the Great Sand Dunes National Park, where activities like hiking, picnicking and swimming abound. From taking a ride on the Rio Grande Scenic Railroad or the Toltec Scenic Railroad to holding a live alligator at the Colorado Gator Farm, you'll get your fill of outdoor fun and gorgeous surroundings while visiting Alamosa, Colorado. Our hotel's travelers are welcome to use our well-equipped Business center with fax and copy services. Feel free to catch up on extra work in the comfort of your room using the Free high-speed Internet, available in all rooms and throughout the hotel. At our Alamosa, CO hotel, we encourage you to sit back, relax and enjoy amenities like our heated, indoor pool or burn off some extra energy on the treadmill, exercise bike or universal gym in the Fitness center. With choices guaranteed to fit every taste, our Free Express Start Breakfast Bar is the perfect way to start your day off right, no matter what you crave. Now featuring your favorite brands and well-loved classics, there's more to look forward to every morning. Calvillo's Mexican Restaurant: Mexican and American food. Features a full buffet all day plus menu items. San Luis Valley Brewing Company: The San Luis Valley Brewing Company began with a desire to offer the finest in craft brews and fine food in an inviting atmosphere.